Monday’s Yard Walkabout had me cringing as I checked all my garden beds. We had a spring rainstorm last night that rivaled a mid-summer downpour. I found my top-heavy hyacinths lying on their sides. To the rescue, twigs from last year’s Rudbeckia daisies. I rarely cut these tall stems down in Autumn. 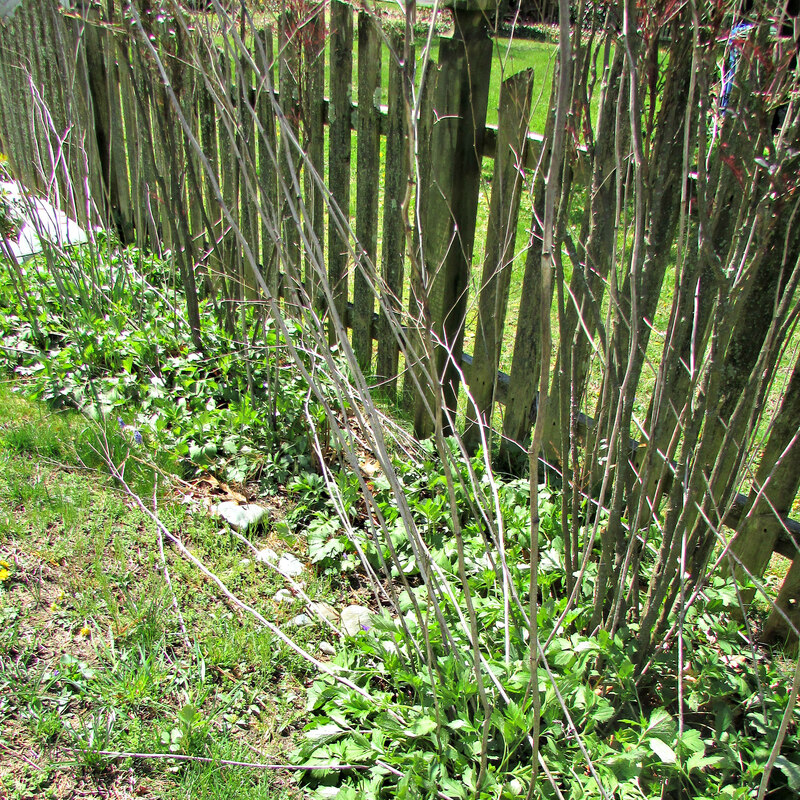 They retain seeds on the spent flower heads for a good part of the winter, a food source for birds, and in the spring and summer their tall stems, turned wood-like in the winter weather, are perfect stakes for zinnias and other tall border plants. I usually break off the smaller twigs and discard, this year they will come in handy; I’ll poke the end in the ground and let the branches hold the hyacinth up until time to cut the faded flower away. 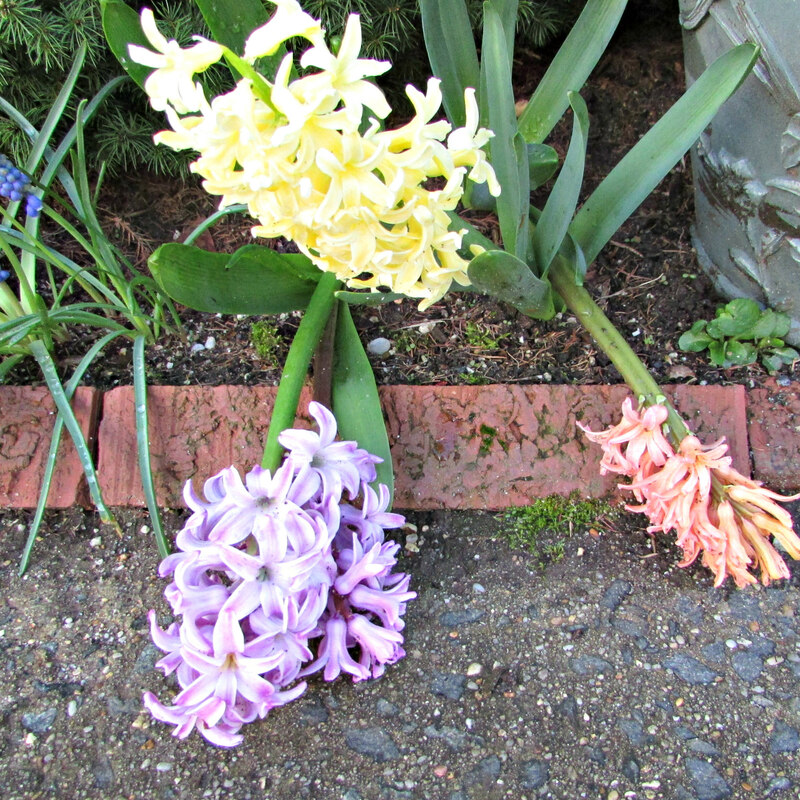 My propped-up hyacinths are part of Cee’s Flower of the Day. I like it when something can be of use. I especially like it when it is free too! It does work…still windy…I hope they hold up. It could be worse, we had snow! I think I might want to cry if we had snow. The best part of this post was the fact that you leave the daisy sticks and seeds for the birds for their winter food. I loved to read about that. 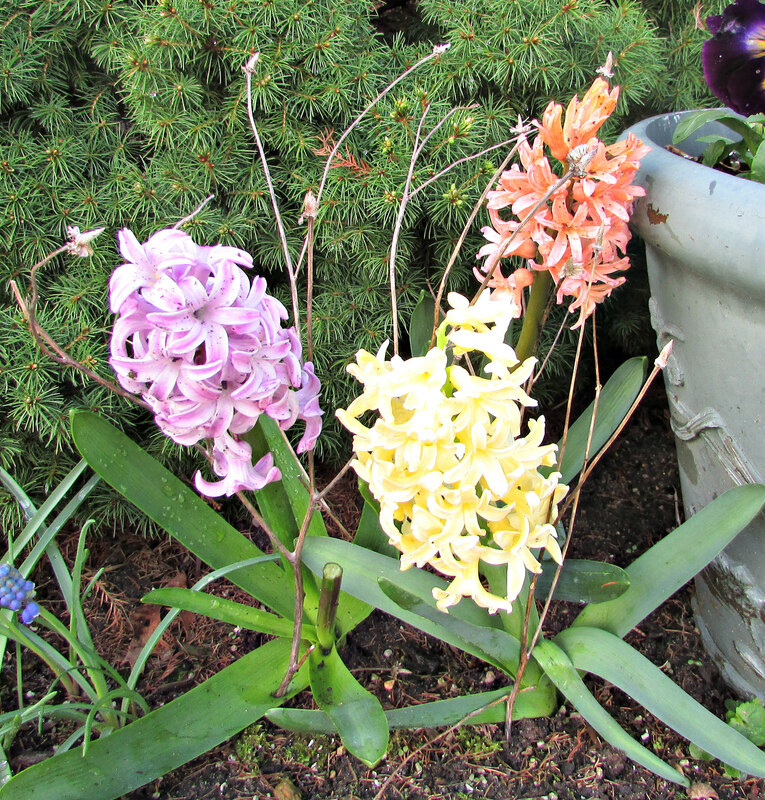 And the second best part were the colours on those hyacinths. In our part of the world, we have seen only water hyacinths- a sort of water weed that clogs waterways and causes environmental destruction or so they say. Hi Susie, In my part of the country the water hyacinth you speak of is a weed in the southern states. Here in the northern states it is actually sold as a backyard pond ornamental. It does spread quickly in the ponds, but our colder temperatures don’t let it thrive in winter. I do love the birds and enjoy letting some flowers go to seed so that they have natural bird food along with what I provide in feeders. The colors are so pretty…I like them all. They smell very sweet.